The promised pan-African passport was launched and the financing of the African Union (AU) was among the many issues discussed by heads of state at the 27th AU Summit in Kigali, Rwanda over the weekend. Discussions centred on the continent’s actions regarding the AU’s Agenda 2063. This strategic framework sets a path for socio-economic transformation of the continent over the next 50 years. It was adopted at the Organization of African Unity (OAU) / AU 50th Anniversary Celebration, held in Addis Ababa, Ethiopia in 2013. Agenda 2063 lies at the heart of the future Africa envisions for itself. The leaders who signed it imagined a prosperous continent at peace with itself. One of the foundations of Agenda 2063 is the AU vision: “An integrated, prosperous and peaceful Africa, driven by its own citizens and representing a dynamic force in global arena”. The summit, which started on 10 July and ended yesterday, is themed 2016: African Year of Human Rights. Leaders in Kigali focused particularly on the rights of African women. 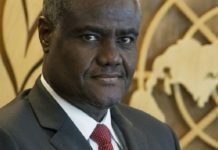 Elections were held on Sunday, 17 July for a new chairperson of the AU Commission to replace South Africa’s Nkosazana Dlamini-Zuma, along with a roster of new AU commissioners. The new commissioner was to be announced as the summit closed on Monday. The three candidates for the post AU Commissioner, two of them women, were: former Uganda vice-president Specioza Wandira Kazibwe, Botswana foreign minister Pelonomi Venson Moitoi, and Equatorial Guinea foreign minister Agapito Mba Mokuy, according to the international multimedia broadcasting service, Voice of America. Briefing the media on 15 July, AU chief of staff Jennifer Chiriga, said that African heads of state would meet for the first time at a closed session the following day. “They will be discussing strategic issues, particularly the financing of the union. We have a report that will be represented. “We also had a special envoy who has been going around the continent, getting views of the heads of state on how we can improve our peace fund,” she said. Passports would be delivered symbolically to some heads of state, foreign ministers and a few officials of the AU, she said. Thereafter each AU member state would discuss country-specific design of the passports. “How soon the passports will be implemented will depend on each country and their preparation to distribute widely,” she said. The first two recipients were the leaders of Chad and Rwanda. Chadian President Idriss Déby, the body’s current chairperson, and Rwandan President Paul Kagame were presented with the passports by Dlamini-Zuma. Their first concern was the protection of civilians in South Sudan, and then the political process could be put back on track, she added. 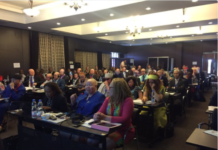 In her statement on Sunday, Dlamini-Zuma said they were hopeful regarding the implementation of Agenda 2063. 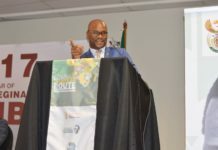 “Work started on the Agenda 2063 flagship projects and the first Ten-Year Implementation Plan, and over two-thirds of countries and (regional economic communities) began domesticating this collective vision of the Africa we want. stories in their great diversity, in changing mindsets, shaping an African narrative that is pan-African and promoting our Renaissance. To do this, they told me to transmit humbly to the excellencies, they require freedom of the press and not to be persecuted for telling the truth,” she said. 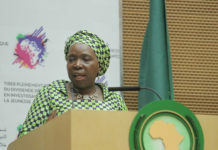 Dlamini-Zuma also spoke about the third High Level Panel on Gender Equality. The OAU was founded by 32 African countries at a meeting in Addis Ababa, in Ethiopia in 1963. 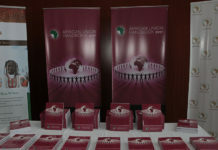 By 2002, membership had grown to 53, when the organisation of African states was renamed the African Union. In 2011 it grew by one, when South Sudan became a member following that country’s creation. 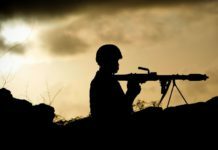 health, welfare, scientific, technical and defence policies.